When it comes to getting a new vehicle, you have a few payment options. First, you could pay for the car in cash. However, that’s out of the question for most people in Mandeville, LA. After all, who do you know who just has thousands of dollars in the bank that they don’t need for anything else? That’s why the majority of people either lease or finance. If you are looking for a way to secure an auto loan for your new Porsche 718 Boxster, you may be wondering about the best way to go about the process. Take a look at these tips, so you can get an ideal rate on your auto loan. Did you know that there are a ton of places where you can secure an auto loan in Mandeville, LA? That’s right. You could go to a credit union or a bank, or you could even get a loan online. But what if there were an easier and more affordable way? There is. Consider securing a loan from your Porsche dealership. Not only is this a more convenient option, but dealerships often offer better rates than your other options. That makes it a great choice if you’re looking for the simplest and most affordable way to pay for your car. One of the most important parts of securing a loan is choosing how long you want the term to be. Many car buyers in Mandeville, LA, want to get a longer-term loan because it allows them to pay less for their car every month. While that kind of plan seems appealing, it will actually cost you more in the long run because you’ll have to pay more in interest. Therefore, you should opt for the shortest loan term possible. Sure, the initial payments might be higher, but you won’t have to deal with a ton of easily avoidable interest. If you absolutely don’t know what you’re doing when it comes to securing a loan, you should look for help. A financial expert at your Mandeville, LA, dealership will be more than happy to help you figure out how to get financing for your new vehicle. 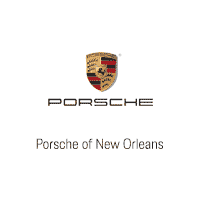 Come speak to the expert team at Ray Brandt Porsche near Mandeville, LA, for more information on how to get an auto loan.